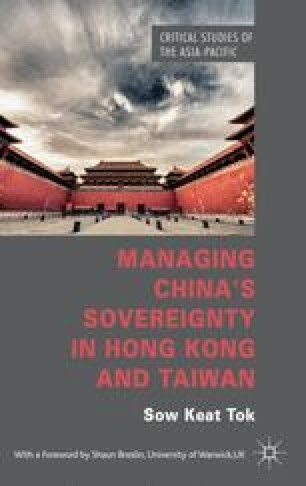 The last chapter argued that it is crucial to place the concept of sovereignty in its historical context, and particularly in the Chinese case, to look at how sovereignty became internalised in the Chinese mindset. As this book stands, it is necessary to consider the context in which the concept operates. China’s historical and cultural memories remain relevant in the way China sees its sovereignty, and how Beijing manages its sovereignty policy today. Under the influence of tianxia, sovereignty, as an imported concept, has retained elements of both traditional Chinese and Westphalian orders.